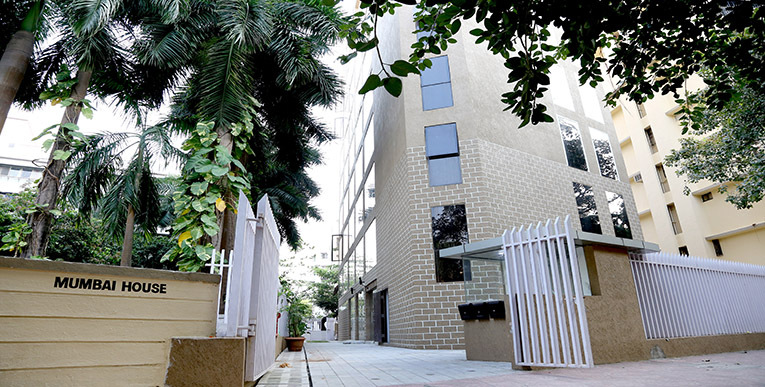 Hotel Mumbai House is a luxurious boutique hotel located in the heart of Mumbai – Andheri East. 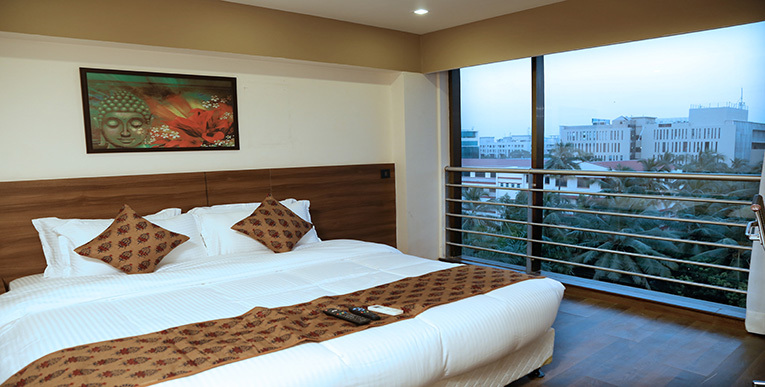 Strategically located, close to the International and Domestic Airports, Bombay Convention & Exhibition Centre, Bandra Kurla Complex, Metro Station and other tourist attractions of Mumbai, it provides immense comfort to the guests and makes the hotel an ideal choice for any traveler. 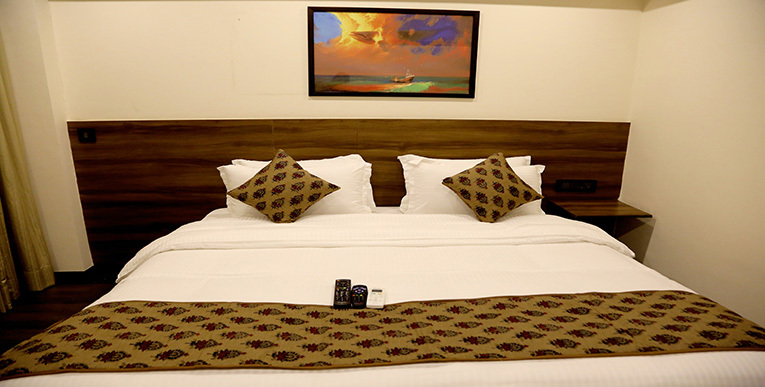 We are a brand new hotel, our rooms are well furnished and equipped with modern amenities. 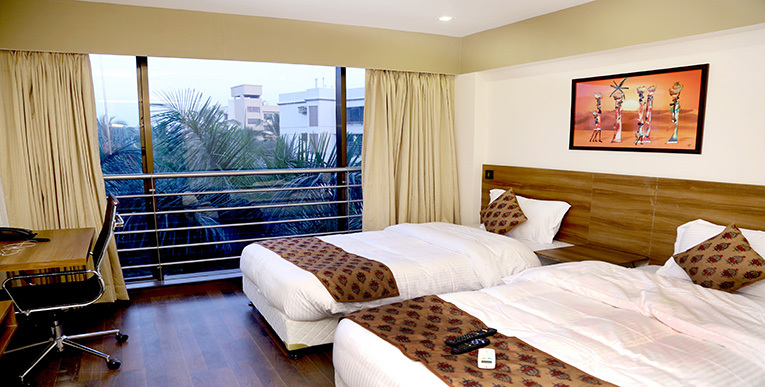 The hotel is surrounded by a lot of greenery and the garden view rooms offers a peaceful and tranquil feeling. 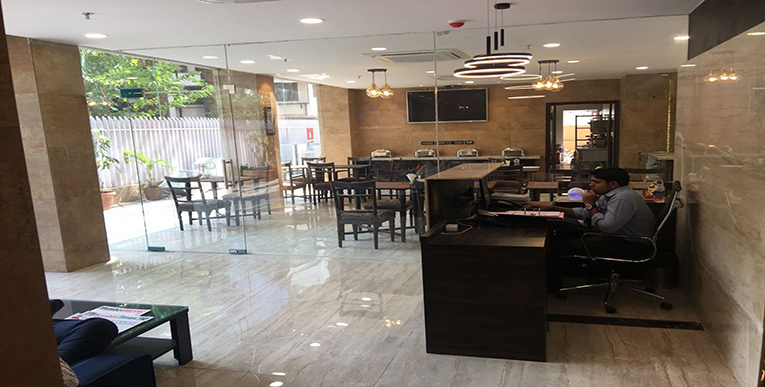 The concept of our restaurant is “Ghar Ka Khaana” meaning home styled food. The corporate traveler will not miss his home food while staying with us. The guests can enjoy buffet breakfast and in-room dining facility. Our banquet hall can accommodate up to 200 guests making it the best venue to host any conference or social functions.